Explanation: Like a pearl, a white dwarf star shines best after being freed from its shell. In this analogy, however, the Sun would be a mollusk and its discarded hull would shine prettiest of all! 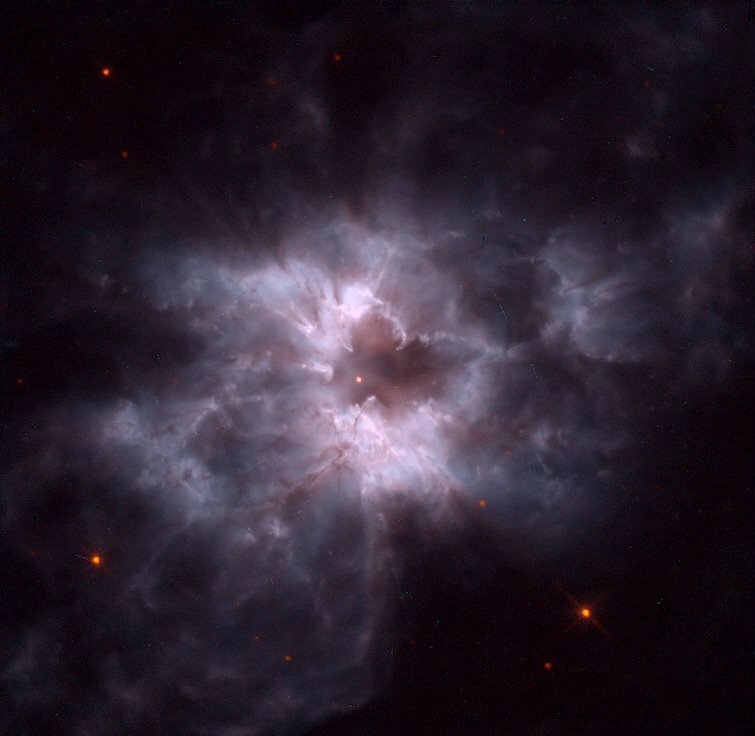 In the above shell of gas and dust, the planetary nebula designated NGC 2440, contains one of the hottest white dwarf stars known. The glowing stellar pearl can be seen as the bright dot near the image centre. 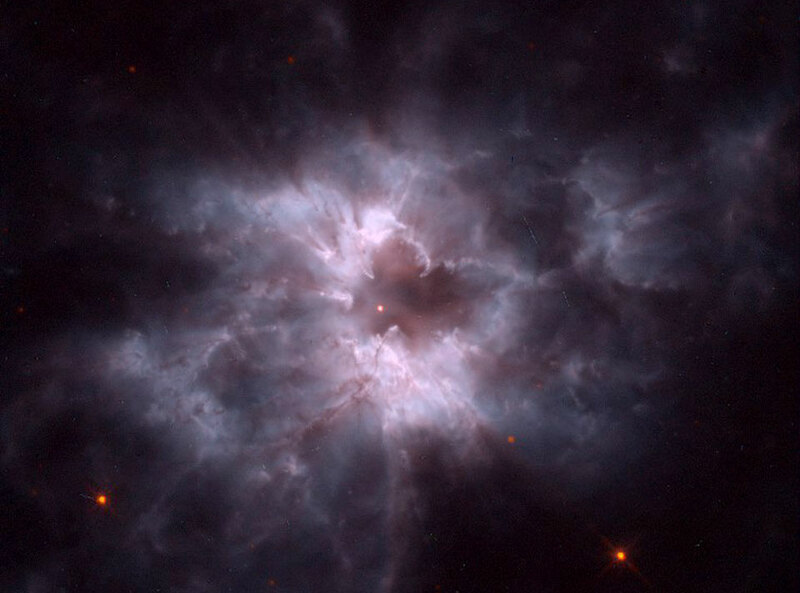 The portion of NGC 2440 shown spans about one light year. The centre of our Sun will eventually become a white dwarf, but not for another five billion years. The above false colour image was captured by the Hubble Space Telescope in 1995. NGC 2440 lies about 4,000 light years distant toward the southern constellation Puppis.